Welcome to Sajjanpur is like a breath of fresh air. The movie is not a cinematic masterpiece. In fact, it may not be even in the Top 5 Hindi movies of 2008 for many cinegoers. But after a long time we have a commercial Hindi movie which is set in a village. The movie has several sub plots dealing with love, superstitions, politics, widow remarriage, casteism but doesn’t get preachy.The hero is a letter-writer and the heroine makes earthern pots for a living. The movie is indeed hatke. It is really surprising that after a long gap, we have a movie about lives of ordinary villagers. But why blame only Bollywood for this ? Our main stream media (mostly electronic) conviniently ignores rural India as if it doesn’t exist !! And to think of it, around 70% of India’s population is rural. Let us have a look at the media coverage of some key events in the last few years. In November 2006, Anant Gupta, son of Adobe India’s CEO Naresh Gupta was kidnapped from Noida. The news was immediately on all the major news channels. Rajdeep Sardesai of CNN IBN, wanted all his viewers to light candles so that Anant could be rescued. Naresh Gupta had to beg to all the news channels to stop covering the incident as he feared that extensive media coverage may put his son’s life in danger. Contrast this with the “missing” of around 30 children around the same period (2005-2006) from Nithari village. Nithari is not very far from Naresh Gupta’s house. 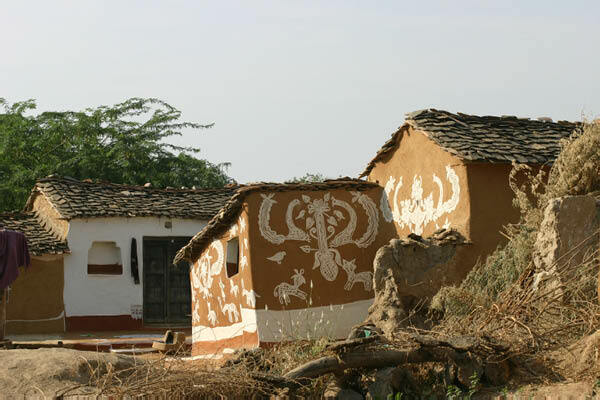 The village is in Noida, at the outskirts of city. However for all the major news channels the village was indeed on a different planet till dead bodies of the missing children were found from a drain. Something similar happened after the murder of Arushi Talwar, again in Noida. The murder got a lot of coverage initially when it was suspected that it is an honour killing. Now, thousands have been killed in several North Indian villages in the name of honour but none of them recieved as much coverage as the murder of Arushi. This disinterest of media is not limited in covering routine crime cases such as murders or kidnaps. 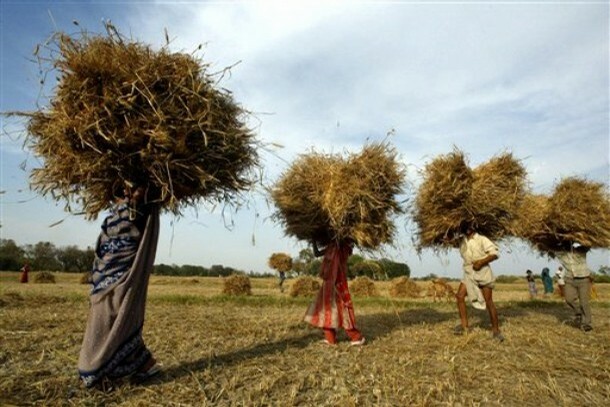 Even when it comes to national secirity, rural India recieves this callous treatment. For example between 2003 and July 2008 around 575 people were killed due to Islamic terrorism in major towns, however around 571 people were killed in Naxal attacks just in the first ten months of last year. Infact since 2002 more than 4000 people have been killed because of Naxal violence wheras around 700 people lost their lives due to Islamic terrorism. Our PM believes and rightly so that Naxals are a bigger threat to India. But still Naxal violence recieves less coverage as most Naxal attacks take place in villages or small towns. It is not hard to guess the reason for this callous attitude of electronic media towards rural India. Most of Cable & Satelite homes in India are in metros. TRP ratings decide the extent of coverage for any subject. But India cannot shine for long if Bharat continues to whine. Print media, especially vernacular dalies are doing a far better job in covering rural India. This is again because of commercial reasons. Vernacular dailies have a big market in rural India. English dailies are no different from our electronic media as they don’t have a market in villages. Infact, a reviewer in a major English daily wondered whether a village can still have letter writer as shown in Welcome to Sajjanpur ,in the age of mobile phones. The fact is that most of villages are out of any wireless or cable coverage. It seems we will have to wait for the day till cable TV reach our villages, for them to get any recognition. Now there is nothing wrong in extensive coverage of terrorist acts or crimes in cities as this puts pressure on our law and order machinery and results in early cracking of case as is evident with the recent arrests of terrorists from Indian Mujaheedin and cracking of other cases which recieved wide publicity. So their is no doubt that media scrutiny and pressure has a positive effect. However, it would be great if media also pays some attention at our villages and non-metro towns which are facing Naxal violence. Maybe more scrutiny and coverage by media would force the Government to take some effective steps just as it did to crack the recent terror attacks. Infact there are a lot more stories of courage and hope in rural India which deserve to be seen and heard by us. Lets hope that Sajjanpurs are welcomed by our media and all of us. Sarah Palin could become the second most powerful person in the world this November. As soon as she was declared the Vice Presidential candidate by the Republican Party, there has been an onslaught of negative press against her i.e. her alleged extra marital affair, her picture in a Bikini, speculation that her youngest daughter is actually her daughter’s daughter who is not yet married (Yeah, this is indeed negative for a person whose target vote bank is conservative). All these news are from her personal life and I believe voters should not care about thir leaders personal lives as long as it is not affecting their work. However, there is one aspect of her personal life which can affect us all. 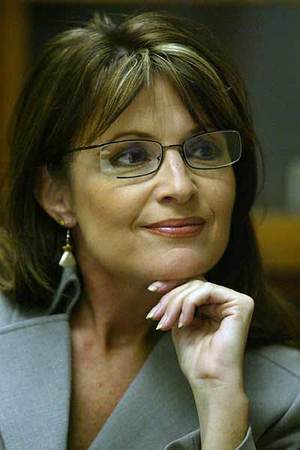 Palin was a member of Wasilla Assembly of God Church, for more than two decades since her teenage. The church, according to Wall Street Journal, believes that we are living in the end times and this was confirmed in 1948, with the founding of the state of Israel and thus conforming a Biblical prophecy of Jews returning to the Holy Land. Now can we rerally trust Palin with the Nuclear button if she has such beliefs ? Reverend Ed Kalnins, pastor of the Wasilla Assembly of God church, told members that God put George Bush in office and that US is fighting a “holy war” in Iraq. We could have ignored Ed Kalnins belief if he would have been some Jihadi sitting in a cave in Afghanistan but he is pastor of the church which was attended by Sarah Palin for more than two decades and she still visits the church for meetings and conferences. Her only son is in Iraq for his military service or if Palin’s pastor is to be believed, a religious service. If Sarah becomes Vice President, how would she decide the future course of action ? Would it be aimed at finding a solution to the crisis or winning the “holy war” at any cost ? Sarah Palin would have to clarify her stand considering the facrt that her faith has now become a big issue. Lets hope that Sarah no longer believes in her former church or if she does, the US voters keep this in mind when they vote in November because the results will affect not just US but the entire world.